"This is a story about the path I chose…" Studiocanal UK has released a new full-length official trailer for the film Yardie, the feature directorial debut of actor Idris Elba. The film premiered at the Sundance Film Festival, and went on to play at the Berlin Film Festival as well. The first teaser trailer dropped earlier this year, but this full trailer gives us a better look. Elba's Yardie, based on the novel by Victor Headley, is about a young Jamaican boy who moves to London in the 80s and gets involved in gang war in Hackney. Aml Ameen stars as D, and the full cast includes Everaldo Creary, Stephen Graham, Mark Rhino Smith, Akin Gazi, Fraser James, Deepak Anand, Naomi Ackie, and Shantol Jackson. The film looks better than it is, unfortunately, since the reviews from the festivals haven't been great. I'm glad Idris Elba is getting into directing to tell stories like this, I just hope he makes a better film next. For now, take a look at Yardie. You can still watch the first teaser trailer for Idris Elba's Yardie here, for a bit more footage from this. 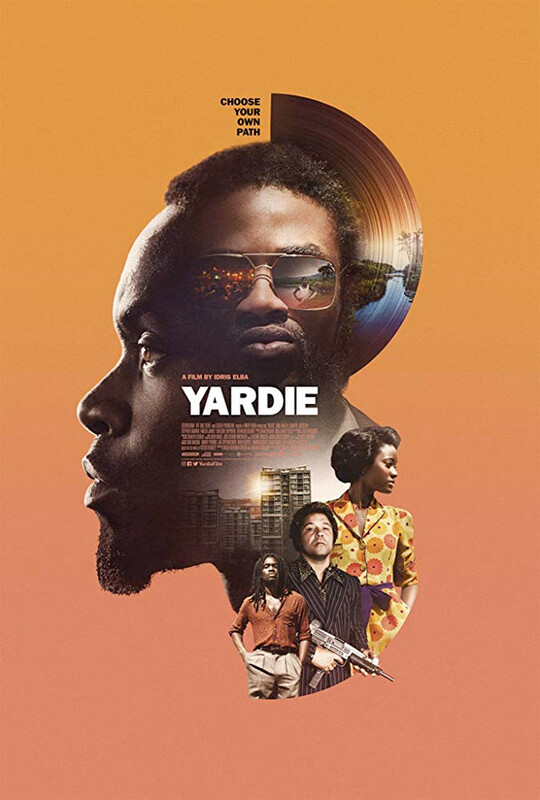 Set in '70s Kingston and '80s Hackney, Yardie centres on the life of a young Jamaican man named D (Aml Ameen), who has never fully recovered from the murder, committed during his childhood, of his older brother Jerry Dread (Everaldo Creary). D grows up under the wing of a Kingston Don and music producer named King Fox (Sheldon Shepherd). Fox dispatches him to London, where he reconnects with his childhood sweetheart, Yvonne (Shantol Jackson), and his daughter who he’s not seen since she was a baby. He also hooks up with a soundclash crew, called High Noon. But before he can be convinced to abandon his life of crime and follow “the righteous path”, he encounters the man who shot his brother 10 years earlier, and embarks on a bloody, explosive quest for retribution – a quest which brings him into conflict with vicious London gangster Rico (Stephen Graham). Yardie is directed by English actor-turned-filmmaker Idris Elba, making his directorial debut. The screenplay is written by Brock Norman Brock and Martin Stellman, based on the novel by Victor Headley. This premiered at the Sundance and Berlin Film Festivals this year. Elba's Yardie will open in UK theaters this year, but has no US release set yet. Thoughts?